1994, Master of Science, Department of Applied Physics and Mathematics, Moscow Institute of Physics and Technology, Moscow, Russia. 2000, PhD, Department of Applied Physics and Mathematics, Moscow Institute of Physics and Technology, Moscow, Russia. Dr. Savchuk is the author of over 100 scientific publications. He frequently presented at numerous international conferences, including the American Chemical Society Meetings, Society of Biomolecular Screening, World Vaccine Congress, Open Innovations Summit, BIO International Convention, Pharmaceutical Strategic Alliances and other industrial, scientific and trading events. Dr. Savchuk is the CEO of ChemDiv, Inc. (San Diego, CA) and Managing Partner at Torrey Pines Investment (San Diego, CA), Member of the Board of Directors at ChemRar High Tech Center (Moscow, Russia) and Chairman of the Board of Directors of its companies: Chemical Diversity Research Institute, Viriom, NewVac, TeaRx, and SatRx. Dr. Savchuk is a member of U.S.-Russian Bilateral Presidential Commission's Working Group on Public Health, a member of the expert council of the Strategic Initiatives Agency of the Russian government; Member of the Board of the "Northern" BioPharm Cluster at Moscow Institute of Physics and Technology (MIPT); Co-founder and member of the Advisory Board of an innovative regional cluster "PhysTech 21"; Director for Strategic Development of Moscow Institute of Physics and Technology (MIPT). Dr. Savchuk was a co-founder of the Inel Group of IT and media companies in Singapore and Russia, and is managing a number of its companies. Dr. Savchuk's main interest is life sciences including rational drug design, drug discovery and digital health technologies. Dr. Savchuk led and continues to manage successful investments in pharmaceutical and drug development companies. Professor Murphy has been with Northwestern University since 1978. After receiving his AB from Boston University, he attended the Loyola Stritch School of Medicine and later completed his internship, residency, and fellowship in infectious diseases at the McGaw Medical Center, Northwestern University, becoming a professor of medicine in 1999. He presently holds the distinguished post of John P. Phair Professor of Medicine. Dr. Robert L. Murphy is the Director of the Center for Global Health at Northwestern University (Illinois, USA). He also holds an appointment as Professeur Associé de Recherche at the Pierre et Marie Curie Université-Paris in France. Dr. Murphy’s primary research and clinical interest is in viral infections. His research includes drug development of new antiretroviral drugs and vaccines for HIV and viral hepatitis and the scale-up of therapy for AIDS, tuberculosis and malaria in sub-Saharan Africa. Dr. Murphy is Special Advisor to the President’s Emergency Plan for AIDS Relief (PEPFAR) program in Nigeria, sponsored by the Harvard School of Public Health, where he has overseen the opening of 42 clinics that currently treat over 75,000 patients with HIV/AIDS. He also consults on NIH-supported antiretroviral education projects in Senegal. Dr. Murphy's international activities and interests include assisting in the establishment of an AIDS Clinic in rural southern Kenya funded by the African Village Clinics Foundation of Chicago. Dr. Murphy is the Principal Investigator for the National Institutes for Allergy and Infectious Diseases (NIAID) Adult AIDS Clinical Trials Group (ACTG) at Northwestern. Within ACTG he has held numerous leadership positions including membership on the Scientific Agenda Steering Committee and Adult Executive Committee, the governing body of the group. He is a member of multiple medical societies and boards of several non-profit organizations including the Drucker Family Charitable Trust, the International AIDS Education Project, Objectif Recherche Vaccin SIDA and the Midwest AIDS Foundation, of which he is the founder. 1986, PhD in molecular biology, Latvia University, Riga, Latvia. Dr. Bichko is a virologist with 15 years of successful research and development management experience in pharmaceutical and biotechnology companies. Prior to joining Viriom, he was Director of Research at Idenix Pharmaceuticals, a biopharmaceutical company engaged in the discovery and development of drugs for the treatment of human viral infectious diseases, including hepatitis C, B, and HIV. Prior to that, he was a leading virology researcher at Scriptgen (Anadys) Pharmaceuticals and previously held various academic positions at Fox Chase Cancer Center in Philadelphia, Max Planck Institute for Biochemistry in Munich, Germany, and the Institute of Organic Synthesis in Riga, Latvia. Dr. Bichko is the author of numerous publications and patents in molecular virology. Under his leaderhip, several antiviral drug candidates (HCV, HIV) were advanced to the clinic. Dr. Kan completed a fellowship in internal medicine, receiving his Ph. D. in hepatology from Moscow Medical Academy. Dr. Vladimir Kan has been Vice President of Business Development at Viriom since December 2016. Prior to that, Dr. Kan served as Business Unit Director (Virology) at Bristol-Myers Squibb, Russia, from March 2015 until February 2016, and as Business Unit Director (Virology, Rheumatology, Anaemi) at Roche-Moscow from 2005 to 2015. From 1998 to 2005 he held marketing positions of increasing responsibility at Novartis Pharma, Russia, and Roche-Moscow. Mr. Demuth is the President and Venture Partner of Torrey Pines Investment, responsible for the company's strategic investments. Prior to Torrey Pines Investment, he worked as a General Manager of Integrated Genomics, leading its M&A strategy, and in several roles at the University of Chicago, including administrating an Arch Venture corporation. 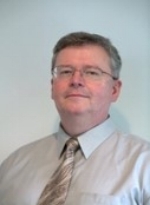 Mr. Demuth has 30 years of research and management experience in the international life science industry and academia.